With complexity soaring in automotive products, the role of Application Lifecycle Management in delivering high quality embedded systems is growing exponentially. In this interview, Andreas Pabinger, VP of sales at Intland Software shares his thoughts on the technological challenges faced by the digital mobility industry. In 2018, the Stuttgart, Germany-based company won a number of high-profile global customers (both OEMs and suppliers) in the automotive industry, and its codeBeamer ALM is fast on its way to becoming the go-to choice for mobility developers globally. 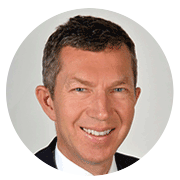 Andreas Pabinger has over 25 years of senior management experience in the tech industry, with expertise around both software and hardware. Prior to joining Intland Software, he had held senior sales and management positions at Kontron, Take Five Software, and WindRiver, a former wholly owned subsidiary of Intel. Having supported Intland’s global automotive customers, Mr Pabinger has in-depth knowledge of the challenges of an increasingly digital mobility industry. As digitalization penetrates the mobility industry more and more deeply, what do you see as the most pressing challenges for automotive OEMs and Tier 1...n suppliers in terms of product development? Having its roots in mechanical engineering, the automotive industry is intrinsically hardware-oriented. For our customers, the biggest challenge is that the environment they’re working in is moving away from classical mechanical engineering towards an industry driven by cyber-physics. Connectivity, electrification, vehicle autonomy, and more diversity in mobility solutions all contribute to this challenge. To be successful in this changing landscape, they need to effectively integrate traditional mechanical engineering with electronics, sophisticated software algorithms, cybersecurity disciplines, Artificial Intelligence, etc. E/E architectures are evolving to accommodate all this advanced technology, with embedded software playing a major role. Building increasingly autonomous system-of-systems products creates a hugely complex environment. The fact that automotive developers need to act fast just adds to this challenge. In the past, development cycles might have been 4-5 years, but as focus shifts to software, cycle times are getting much shorter. With remote upgrades becoming the norm, we expect to see more and more frequent releases. In short, our customers need to build out know-how and capabilities that they don’t traditionally have. And they need to do it fast and without compromising on quality, safety, and security requirements. How does digital transformation affect the relationship between automotive OEMs and suppliers? The level of complexity and the required investment involved in digital innovation sends mobility companies looking for alliances. No OEM or Tier 1 supplier is able to deliver this level and volume of innovation on their own. The digital components driving the auto industry today are highly integrated and highly optimized for the cyber-physical environment they will operate in. All the stakeholders and teams involved in their development need to understand how these components will come together in the final product, and how all safety, security, and regulatory requirements will be met. As a consequence, automotive OEMs are relying strongly on their traditional suppliers, and need to build up strategic relationships with companies that hadn’t been parts of their ecosystems in the past. All this necessitates a level of collaboration never seen before, prompting automotive companies to create an integrated environment for all contributors across the lifecycle. How do you see the role of Application Lifecycle Management in the future of automotive system engineering? The key benefit of ALM lies in integrating parallel streams of development with all their contributors, tools, processes, and QA requirements. There is a need for a central, shared development environment for all stakeholders from the OEM to Tier 1...n suppliers. ALM can provide this integrated environment, greatly supporting the innovation of system-of-systems products. In addition to serving as a shared platform of development, there are a few other important factors at play here that are sweet spots for ALM. As the timespan to customer and market value is getting shorter and shorter, our customers are forced to adopt Agile strategies to product development. That’s especially challenging in a scaled setting. 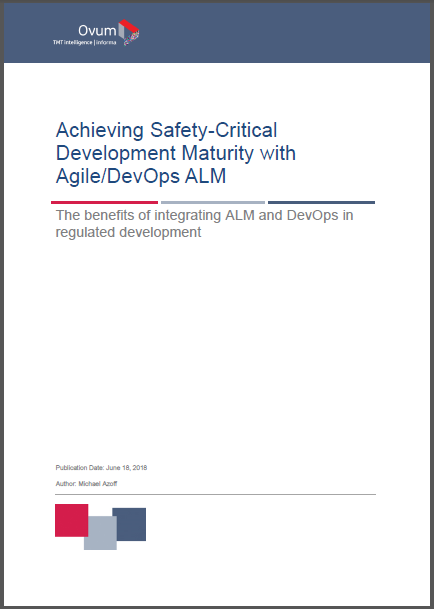 Therefore, they need ALM to provide the methodologies, tools, and processes that address this fundamental requirement to accelerate delivery in a complex and global development environment. Yet another crucial aspect is the changing role of testing. 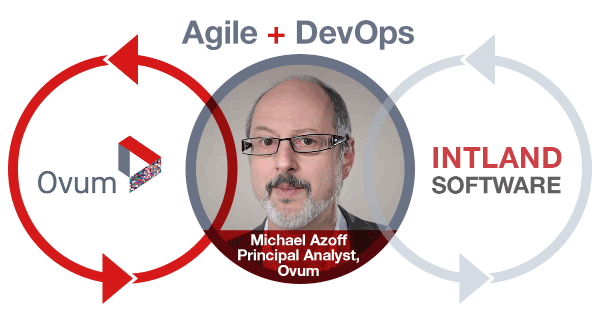 What used to be a dedicated phase near the end of the development cycle in classical V-model lifecycles has now become an intrinsic element of the process of development which is increasingly governed using DevOps and continuous integration strategies. As velocity increases, carmakers can’t afford to make mistakes, and Agile is teaching them to build testing in every phase of development. With continuous delivery becoming the standard, testing is moving towards more automation. The role of ALM in managing these automated QA activities, and in providing visibility for product quality will be crucial for product and market success. Finally, there’s the growing complexity of automotive product lines. The management of multiple product variants and configurations is becoming problematic, and realizing efficiencies is crucial here. ALM opens up opportunities of modular development, enabling carmakers to develop generic assets, and to reuse those assets for special instances. It allows the smooth handling of a high number of possible product configurations, satisfying engineering needs and cutting costs at the same time. Overall, I believe ALM is proving to be a crucial enabler of digital innovation in the mobility sector. In 2018, a number of leading automotive innovators chose codeBeamer ALM. To what factors do you attribute Intland Software's success in the automotive market? Again, time to value is key here. One major differentiator of codeBeamer is that it allows the deployment of ALM in a large-scale environment with multiple thousands of users, all this without a lengthy and arduous rollout process. Preconfigured templates help us deliver those benefits to large companies with complex programs and difficult regulatory needs, whether they operate in the mobility industry, the development of medical or avionics technology, or pharmaceutical projects. codeBeamer’s templates are great starting points as they offer a standardized environment that can be flexibly adapted to specific needs. Using these predefined templates, you can get up and running with a scaled Agile framework (like SAFe®, or LeSS, which was BMW’s method of choice) in very little time, without jeopardizing compliance. The platform scales well, too, confidently handling multiple thousands of users and millions of work items, making it ideal for enterprise users. Templates are complemented by codeBeamer’s advantages in terms of usability. Our friendly learning curve greatly contributes to an optimal Total Cost of Ownership that is significantly lower than what other ALM tools offer. How has this close cooperation with automotive companies affected Intland Software? We’re much closer to the needs of our customers, which directly feeds into our product innovation. We’re proud to have taken on the technological challenges brought to us by our customers that are leaders in mobility innovation. Our success shows that we consistently deliver on our promise to offer them the best automotive ALM solution. Due to this higher vertical focus, we are able to better understand both current and future challenges in mobility innovation. But we make use of this knowledge in other areas of safety-critical product development, too. Our success in these regulated markets has influenced Intland Software’s development roadmap, transforming us to a specialist organization that has become the market-leader in safety-critical ALM. Application Lifecycle Management cannot be viewed as an isolated platform or discipline. You need to look at it from a holistic viewpoint. Our strong cooperation with automotive customers has helped transform our own approach from the component level to a systems engineering perspective. And the priorities set for us by these important relationships continue to shape our understanding of how we can best support safety-critical product innovation in the future.